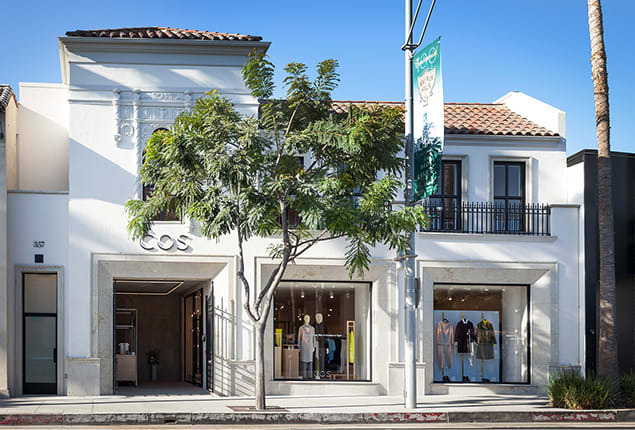 COS, your favorite Scandinavian retailer, is finally expanding its empire into the United States. That’s right, following the launch of its stateside e-commerce site last year, the more sophisticated sister brand of H&M has announced the highly anticipated opening of its first American brick and mortar in Los Angeles. 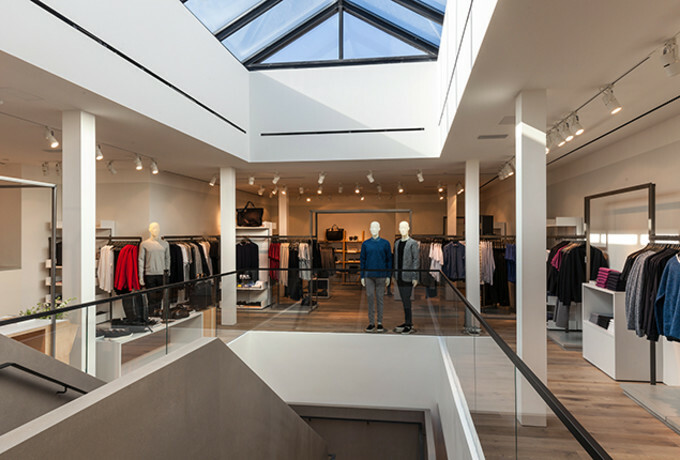 Located at 357 North Beverly Dr., the 5,683-square-foot space is positioned in one of the country’s most prestigious shopping districts, parallel to Rodeo Drive. 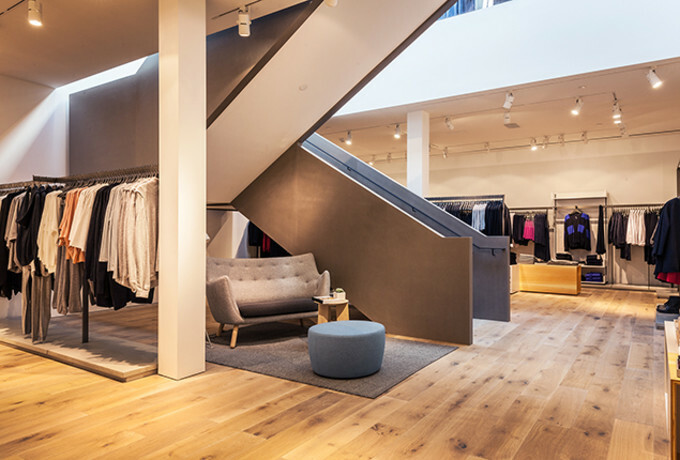 The brand’s signature minimalist aesthetic will be reflected in the store’s interior as the use of neutral tones, modern furniture, and no-frills textiles—ranging from wood to glass to concrete—will generate a sleek yet comfortable environment for American shoppers. 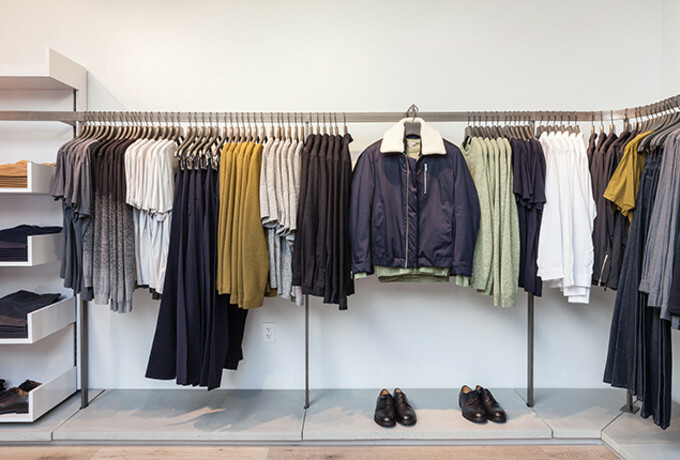 Though U.S. customers have had limited access to COS clothing, through either traveling, online shopping, or the occasional pop-up shop, the brand has gained an impressive fan base among American consumers who appreciate quality garments at affordable prices. The news is even more exiting as plans to open a store in NYC’s SoHo neighborhood have been continuously delayed since the announcement in 2013. If you’re in the L.A. area, be sure to check out the new digs when doors officially open on Oct. 30. If you happen to live outside of Southern California, you’ll just have to settle for web shopping until your hood gets a COS of its own.